Wanna Backup Your Data online? Here are Top 5 Cloud Storage Services! Home > Blog > Blog > Wanna Backup Your Data online? Here are Top 5 Cloud Storage Services! You never know when your computer gets crashed and you lose all your data. This is why you must take the back up of your data at regular intervals. As far as taking the data backup is concerned there are innumerable ways you can accomplish this task such as by saving all you data in pen drive, hard drive or any other storage device and so on. But the advent of cloud servers and cloud storage has made the task of backing up your data far easier. It not only helps you back up the data online but allows you to access your data from anywhere and everywhere. So now you need not carry your hard drive, pen drive or any other data storage devices with you all the time. The best part is you get to have plenty of storage space to backup your data and that too at absolutely no cost. And, for your help, here are the top 5 cloud storage services as compiled by Tech Advisor. Dropbox is a file hosting service that provides users with file synchronization, client software and cloud storage facilities. This service is offered on client software for Mac OS X, Linux, Microsoft Windows, Blackberry OS, iOs, Android, and window phones. Dropbox enables the user to create local folders on their computer which can be synchronized with an online version so that the user can access the data even offline. The offline editing feature of Dropbox provides an option of making select files offline and the files appear online as soon as you place it in the Dropbox folder. This free account comes with 2GB of storage, and for those who want more can opt for paid accounts with price ranges of $10 per month for 100GB and $50 per month for 500GB. Dropbox also offers 500MB of additional storage for each person you get to sign up to the account, with a limit of 16GB. Security features include two-step authentication and an AES 256-bit encryption for all files held on the Dropbox server. Google Drive is file synchronization and storage service provided by Google enabling file sharing, cloud storage and collaborate editing. Google offers an initial 15 GB of storage space, which is shared across three services such as Google Drive, Gmail and Google Plus. For an additional storage, the 15GB storage can be upgraded using monthly paid subscription plan. Google Drive works by creating a local folder on your device which is synced with a duplicate cloud version. Files are saved to the user’s computer in the forms of HTML, PDF, Microsoft Office, and Text. In order to avoid losing data, files are saved automatically to Google’s server and a revision history is also set automatically to view previous edits. Files can be archived and tagged for organizational use. This service is supported on the new version of Firefox, Internet explorer, safari and chrome running on Windows, Apple OS X, Linux operating systems. The stored data on the drive is encrypted in 128-bit AES rather than 256-bit employed by Dropbox, Onedrive and Box. Google states that it won’t interfere into the Drive folder content, until it’s not forced by law enforcement agencies and two- step verification can also be added to the account for adding another layer of security. 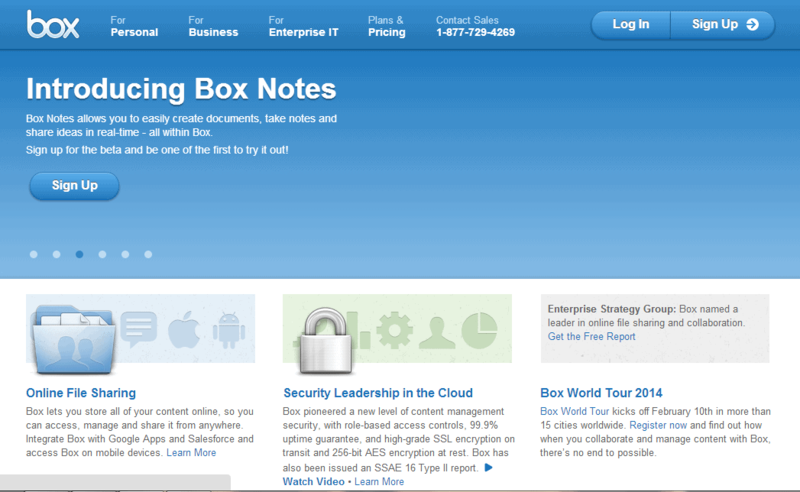 Box is an online data sharing and content management service. Box enables the users to store their data online so that they can access, share and manage them anywhere. This service is accessible for iOS, Android, Blackberry and Windows phone. Box provides 10 GB of free storage, but to obtain 50 GB of free storage the users need to download Apple iOS version of their app. The web portal enable users to create new files in MS Office, Google Docs or web based formats, which can be edited in Box using a free downloadable plug in. The entire documents can be assigned tasks and comments from the main page, which will be very effective while you start collaborating with others. General security of the Box is standard 256-bit encryption on the servers, with SSL for data in transit. 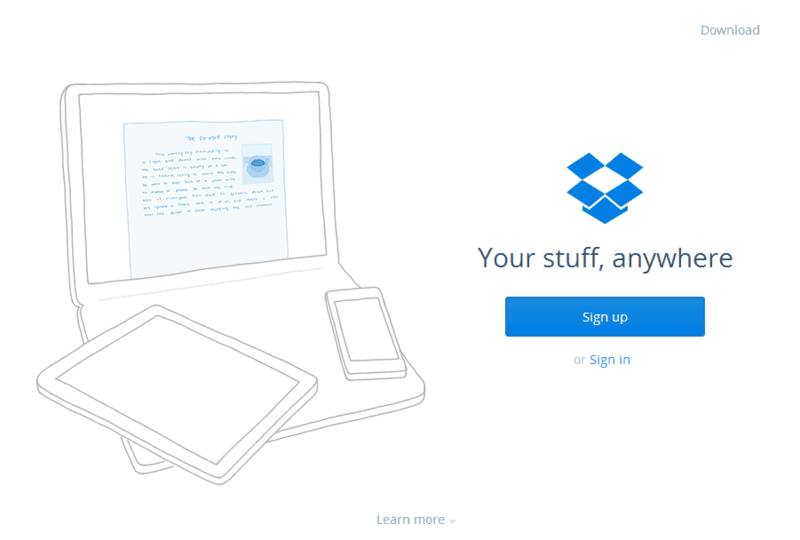 OneDrive functionalities are similar to Dropbox, with apps available for Mac, Android, Windows and iOS. Microsoft also offers 500MB of free storage for each person you get to sign up to the account. An additional 3GB storage is also offered, if OneDrive is linked to the mobile phone camera. Microsoft’s syncing and back up service is flexible and is integrated with Office apps, both installed and on the web. Anyone who has already signed up for a Hotmail, Live, or Outlook.com can get a free OneDrive account. OneDrive offers online storage accessible from the web, if you need an access to documents or media files. If you need the same files to be replicated on multiple computers, it offers folder syncing. For Windows 8.1 and Windows Phone users, it backs up settings. OneDrive enables the Windows users to upload images and videos taken with their phone’s camera to OneDrive’s camera roll, so that images are quickly available online. 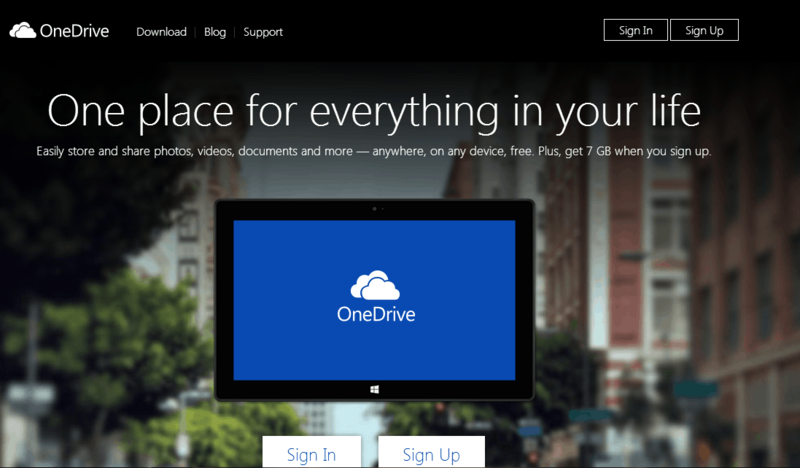 OneDrive boasts app for not only Windows 7 and 8, but for iOS, Android and Mac OS X as well. A mobile web interface is available for other mobile platforms such as Blackberry. For desktop access, if you are not at your PC, a full feature web app is available. If you are an iOS user, you can set up this free iCloud account. As Google Drive is integrated with Google features, so is Apple’s iCloud with iOS functions and features. This service provides the user with 5 GB of free storage. Similar to all other cloud storage services, iCloud also enables the user to store and access files, music, photos and more. iCloud offers an integrated email client, address book and calendar that users can keep synced with all their iCloud compatible phones. The latest Add on to iCloud is iWork, which is now available for free via their website. The three apps such as Keynote, numbers and pages boast clean interface and sync with corresponding apps on your Mac or iOS phone. These apps enable the users to create word docs, presentations and spreadsheets, while iCloud keeps the files updated on the web and device.